The Singapore Air Show is less than 2 weeks away now, starting on 14th Feb-17th Feb (Trade Days) and we are making preparations for the event. Some of the memorabilia we are giving to our customers and well-wishers include custom coffee mugs with our logo on them. Special ties with hand embroidered Aircraft is also among the gifts. 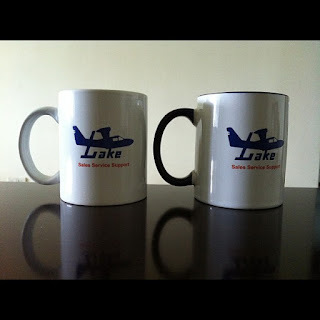 We will have CDs of some of the Aircraft that we have on offer including 3 used/factory refurbished Lake 250 Renegade Amphibious Aircraft. We look forward to interaction with many Industry players at the event, directly and also by attending various forum discussions at the event. Naturally we are keen to expand out horizons and long term prospects, this show is a good venue for networking and catching up with Aviators and aviation business owners, representatives, employees alike. 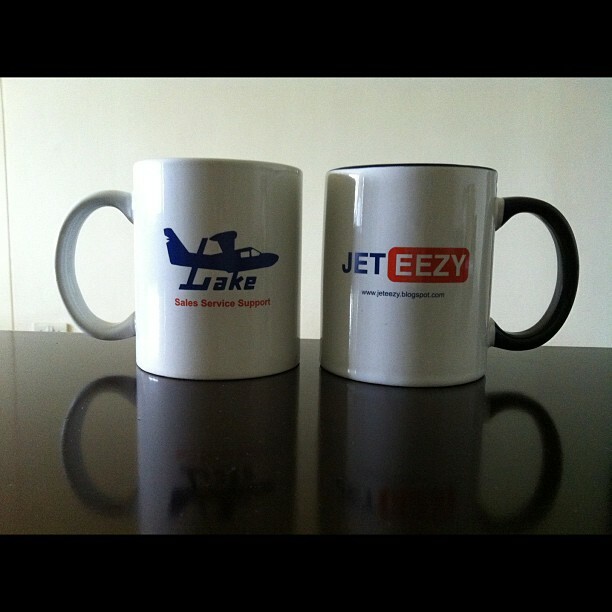 Here is a sample of the mugs prepared by us. Follow us on twitter for updates on all our activities and interesting tweets on aviation.